The red bar depicts the 40-mile-wide, 700-mile-long warning airspace now under management by Sandia personnel for DOE’s Atmospheric Radiation Measurement facilities. The space extends from a northern point of the US highway system to 400 miles short of the North Pole. The monitored space will better ensure the safety of climate and other experiments over international waters in the Arctic. The US Department of Energy (DOE) and the Federal Aviation Administration (FAA) have placed a 700-mile-long, 40-mile wide stretch of airspace, north from Oliktok Point (the northernmost point of Alaska’s Prudhoe Bay) to about 400 miles short of the North Pole under Sandia’s stewardship. Oliktok Point is a base of operations for the Atmospheric Radiation Measurement (ARM) Climate Research Facility, a multi-platform scientific user facility with instruments at fixed and varying locations around the globe for obtaining continuous field measurements of atmospheric data. The new Warning Area, will protect Arctic researchers gathering data on clouds and atmospheric constituents, practicing search-and-rescue (SAR) techniques at sea and tracking the northward movement of retreating sea ice, among other goals. “The Coast Guard, oil companies, climate researchers, and unmanned-aircraft and robotic-vehicle manufacturers all share an interest in the changing Arctic,” said Sandia lead researcher Mark Ivey. “Everyone needs a safe space to work.” It was clear, for example, that tethered sensor-laden balloons hanging invisibly in a low cloud in unmarked airspace would present a danger to aircraft, particularly the many small and privately operated aircraft in Alaska. DOE describes the ARM Climate Research Facility as “hosting a research campaign designed to demonstrate how small, low-cost, unmanned aerial systems (UASs) can be used to study and measure clouds and aerosols in the cold and harsh Arctic atmosphere.” Sandia, which leads the implementation of ARM’s Arctic research efforts, manages Oliktok Point for the DOE Office of Science program and the ARM facility. Other users have other interests. 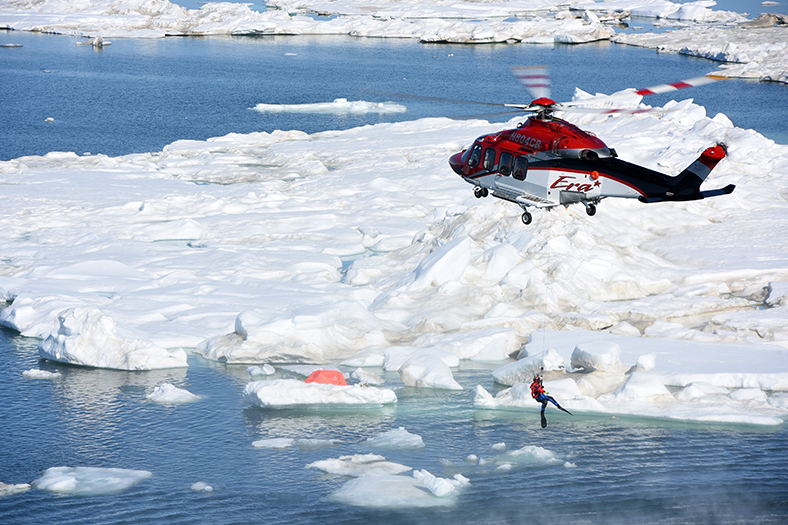 The first project to make use of the restricted airspace is the US Coast Guard Research and Development Center’s (RDC) Arctic Technology Evaluation 2015 SAR exercise, Arctic Shield. Other partners include Insitu/Boeing, Era Helicopters, the National Oceanic and Atmospheric Administration and multiple operational Coast Guard units. All these entities work with Sandia on a joint effort to improve interoperability between manned and unmanned aircraft systems, sometimes referred to as “drones,” for SAR operations. The technology and practices used during Arctic Shield will provide useful information for future ARM/DOE UAS research activities, said Ivey. 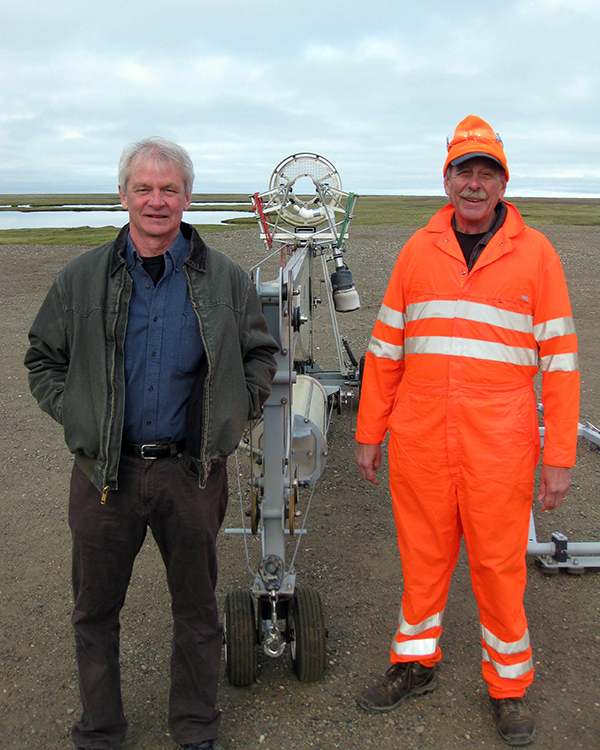 “For example, Sandia electronic technologists monitored radar scopes at the North American Aerospace Defense Command during Arctic Shield to check air traffic near Oliktok Point before the UAS launch, and two FAA representatives on site at Oliktok provided suggestions for future operations. And the whole event took place as safely as possible within this new Warning Area,” Ivey concluded. The ARM Climate Research Facility is a user facility funded through DOE’s Office of Science. 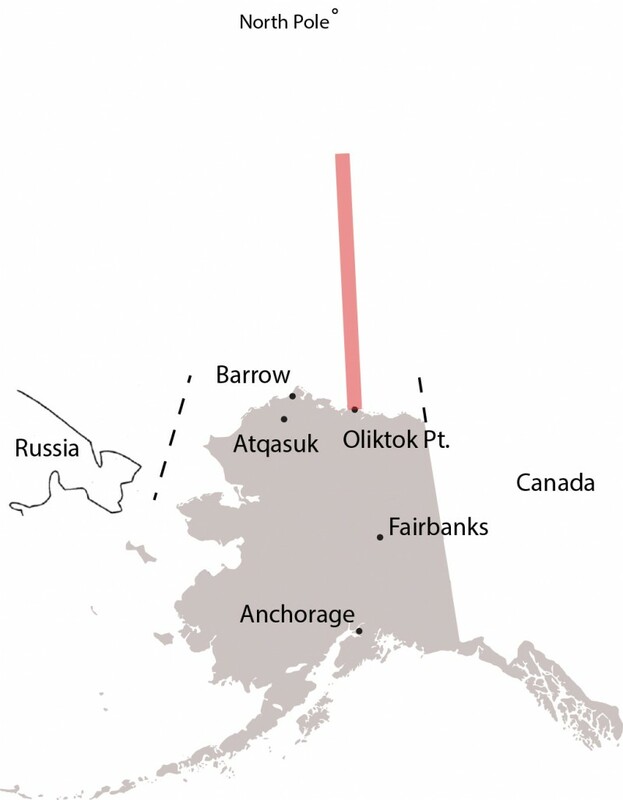 The ARM Climate Research Facility is operated by nine DOE national laboratories, including Sandia, which manages ARM’s activities at the Oliktok Point site. Read the Sandia news release. For more information on the new airspace designation, see ARM’s recent post.